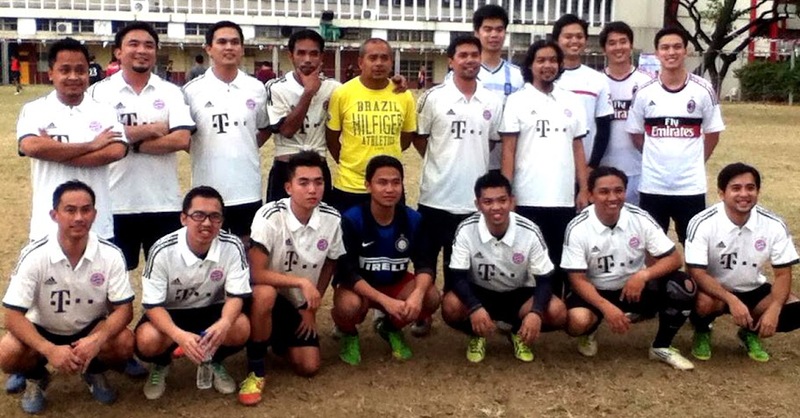 Many of the DLSL boys continue to join reunion tournaments at SBC to this day. Image credit: Marco Magnaye. One of the things that I will be proud of for as long as I live is the fact that a good percentage of the boys that I coached in my high school football teams went on and continued to play varsity football in college after they graduated from DLSL. This may sound trivial, but those who know that Lipa City is not even to this day a football community will understand why I consider this an achievement. I like to think that beyond the ability to play, it is the understanding, love and appreciation of the game that will ultimately be my legacy to this city which has never really taken the game into its heart. In fact, a great number of the boys whom I used to coach still find time to play, even those with paunches bigger and hairs greyer than mine. Having been a Green Archer in college, I would have preferred that my boys went on and played for DLSU. The university’s admission policies, however, have not always been – shall we say – athlete friendly. A few did go: Gary Gardoce, now a renowned cinematographer; Fernando Silva, now President of a group of companies; Roland Samaniego, now an organic farmer; and Eduardo “Tuteng” Marasigan, who went on and played for the Philippine National Team. The more favoured destination, however, over the next two decades from the time I started coaching in 1982 was San Beda College; and arguably because its admission policies were kinder to student athletes. Among the pioneers from the first team that I coached were my captain Jose Carlos Lucido, who has been Stateside for over two decades; Eric Manglo, now Councillor of Tanauan City; and Jaime Gonzales, whom I have not heard from for the longest time. Jose Carlos Lucido, Eric Manglo and Jaime Gonzales all played for my 1984 team. 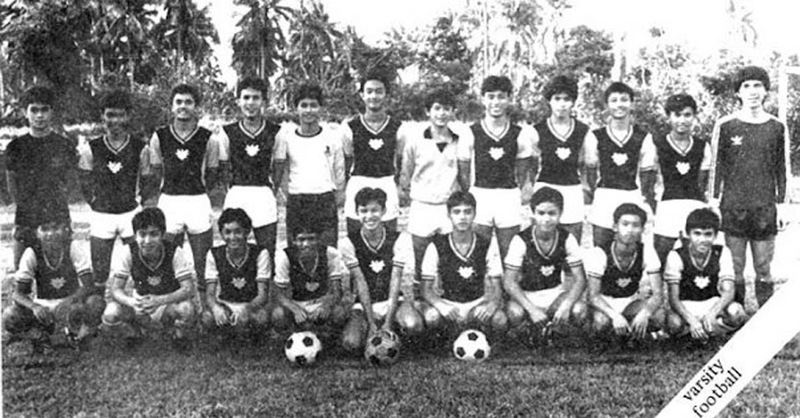 In 1986, they were joined by our six-foot right back Antonio Reyes Jr., who could also play at centre-back; and Jimmy Mercado, who played under me for a few weeks, left the team and resumed playing in college. These boys opened the door, paving the way for a steady of trickle of players until, by the time my powerful 1989 squad had graduated, San Beda could field practically an entire team from DLSL. By mid-1989, among the new recruits were our towering centre-back Jerry Acosta; and our right-back Danny Delgado, now with San Miguel Corporation. A year later and the skilful centre-forward Erwin Sibayan, who now flies jetliners for a Hong Kong airliner but who is still universally known in Lipa football circles by his high school nickname “Starlight,” enrolled at San Beda as well. The San Beda team at the time was coached by a kindly ex-navy man who I used to hear was quite a player in his day; but ironically for whom discipline was, perhaps, not a strong point. Once in a while, I would make the trip to Manila to watch San Beda play in the NCAA just to see how the boys were doing. The half-time team talks were a right sorry mess, something I would never allow in my own teams. While the half-time team talk was being given, players sometimes had their backs to the coach or were walking all over the place and even talking to each other. I would later ask one of my boys why this was so and was told that it was hard to understand what was being said in a mixture of English, Tagalog and Ilonggo. Yet, even despite the apparent inability to hold everyone’s attention, the coach was still looked upon with a lot of affection. One of the most humorous anecdotes that the boys loved to tell also spoke of the down side to recruiting a majority of players from Lipa. There was always training early Monday mornings. Unfortunately, when the boys went home for the weekend, they would speak to each other about whether they would attend or not. All it took was for one to say he was not going and this could create a chain reaction. Some Mondays, all the boys from DLSL could go AWOL, thus reducing training to something of a farce. The coach, the boys loved to laugh, would swear out loud that he would never recruit another player from Batangas. However, come they did, even on through the nineties when coaching duties were assumed by Aris Caslib, who would go on an also coach the national team. Many of my 1996 squad, in fact, enrolled and played at San Beda: Gary Rabano, Arvin Lingao, George Virrey, Ryan Puertollano and Federico Osabel III. A few of my 1996 team also played for San Beda College. Later joining up were the powerful centre-back Federico Osabel the IV; and Marco Andres Magnaye, who would also captain San Beda. After the turn of the millennium, also becoming San Beda stalwarts were Jeremias Jiao and James Dimaculangan. These last two would also become involved in the national team setup. By the late nineties, I assumed coaching duties for DLSL’s college teams since many of my own players were crossing over instead of transferring to schools in Metro Manila. It was only around this time that the DLSL and San Beda College football connection was broken because the DLSL College was starting to become an attractive career training option for many of our own high school seniors. The bond has not been completely severed, however; and to this day, although I am not actively coaching, I know for a fact that varsity football graduates of DLSL continue to consider San Beda as a realistic option not just for a college education but also to continue playing football.